My little munchkins aged 4 and 2 are into their gadgets just like their mama! 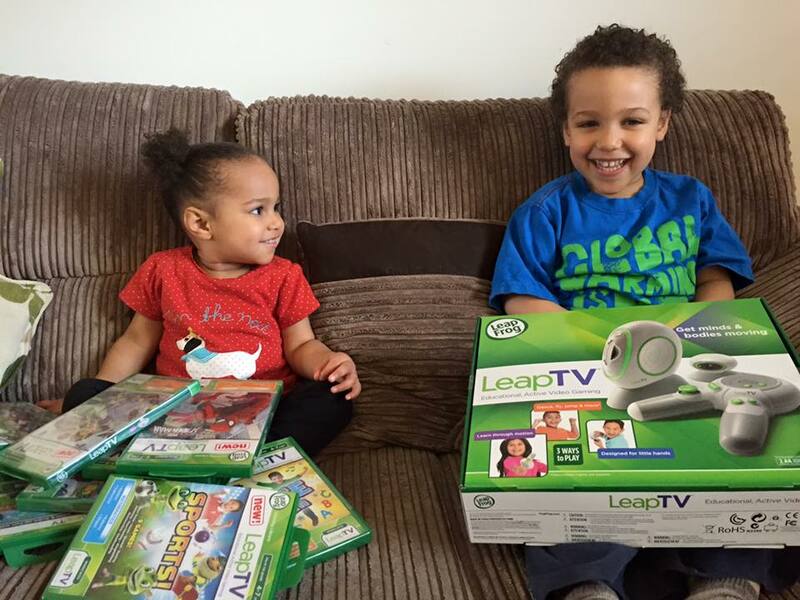 So they were super excited when I won the LeapFrog Christmas bundle competition on LeapFrogUK Facebook which included LeapTV console, 9 cartridge games and £15 download card. 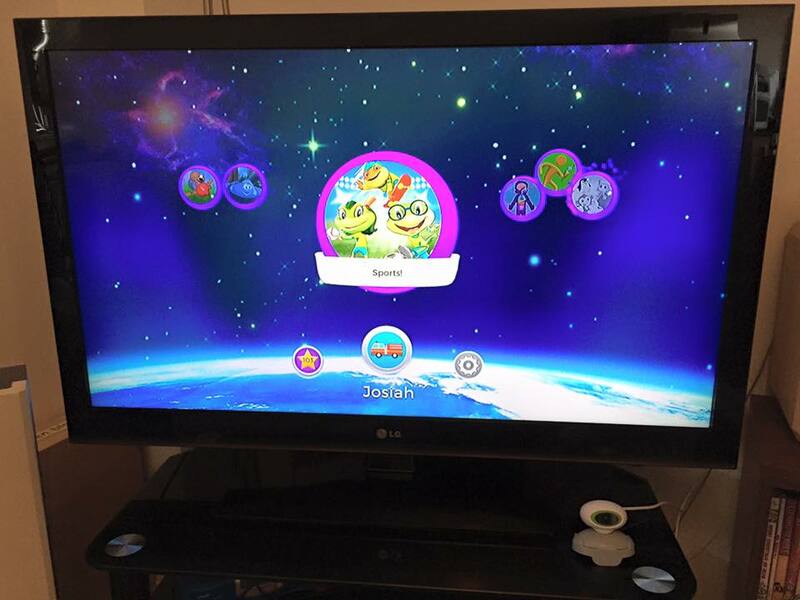 The LeapTV console connects to the Internet with Wi-Fi (built-in) or Ethernet (cable sold separately) to download games and videos. The LeapTV system is kid-safe and does not allow Internet browsing. The LeapTV system is very easy to set up and comes with a simple start-up guide that takes you step-by-step through the setup process. To setup simply connect the components to your TV and then follow the on-screen instructions. As this is a motion-based system, make sure you clear the play area for safe play. You will need to set up a parent account to manage kids profiles and downloads. There is an extensive library of games and videos available. LeapTV: Nickelodeon Dora and Friends Educational, Active Video GameAges 4-7 yrs.Join Dora and Friends as they shrink to a tiny size to return an enchanted ring. Race on mouse-back with a friend, run, twirl and use mathematics skills on an adventure back in time. LeapTV™ Sports! 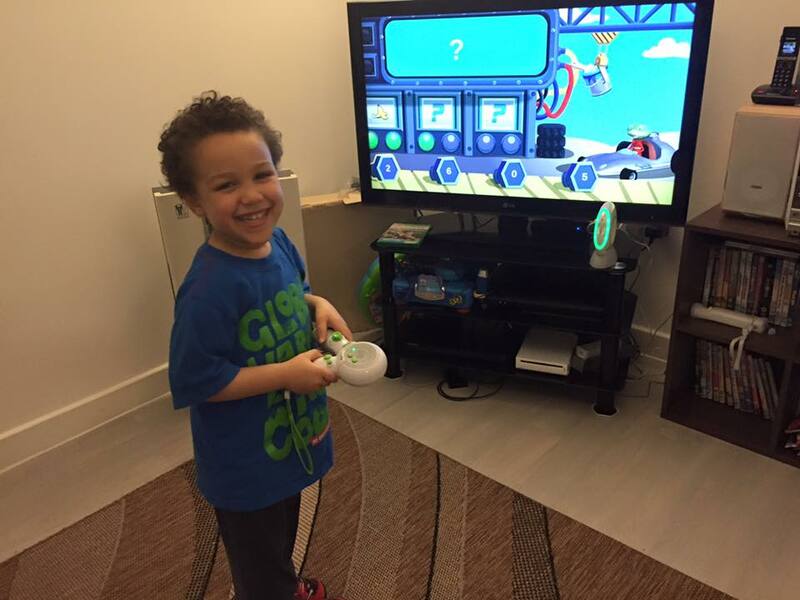 Educational, Active Video GameAges 4-7 yrs.Enter a whole new arena of sports fun with favourite LeapFrog characters! Bowl, block, chop, swing and swim through nine active games. Team up with a friend or play along with Leap, Lily, Tad and the whole crew. 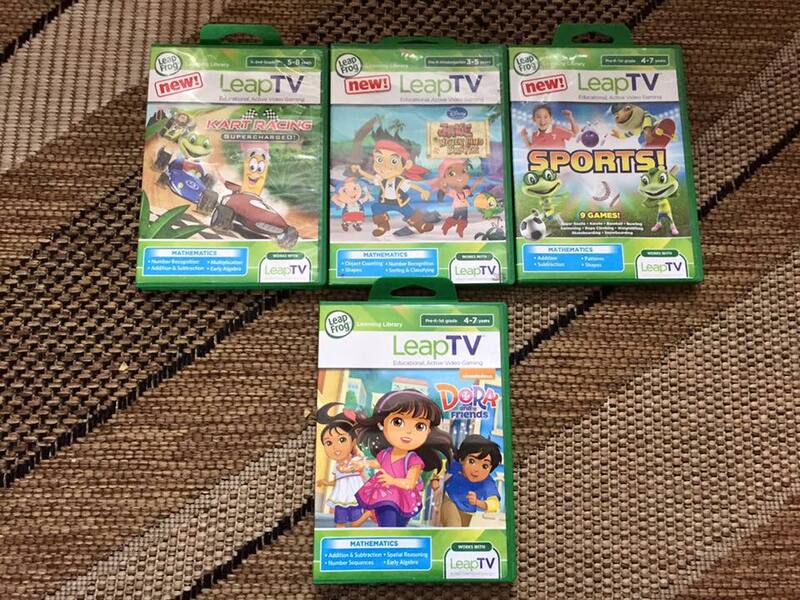 Be a sports star and appear onscreen: LeapTV™ puts your child right in the game. LeapTV™ Kart Racing: Supercharged! Educational, Active Video GameAges 5-8 yrs.Put the pedal to the metal and race for glory in 5 wild tournaments. Tune up mathematics skills, then tilt and turn to smoke the competition on 10 different tracks. Race solo or multiply the fun by challenging a friend! LeapTV™ Disney Jake and the Never Land Pirates Educational, Active Video GameAges 3-5 yrs.Run, fly and sail around Never Land searching for pirate treasure. Use body motion and mathematics skills to chop through the jungle and grab gold doubloons. Keep moving, and look out for Captain Hook! 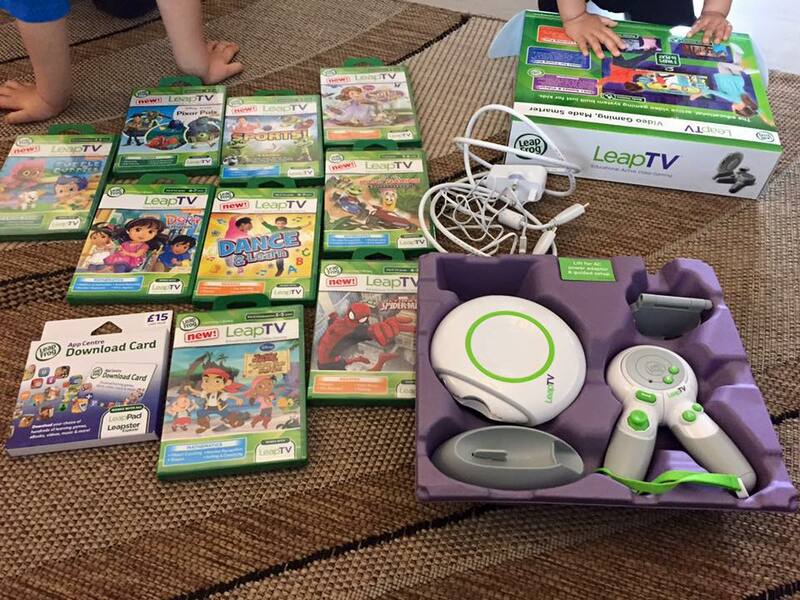 LeapTV: Disney Sofia the First Educational, Active Video GameAges 3-5 yrs.Get active and train for the Tri-Kingdom Picnic Games with Sofia and James. Jump into action, race, hop, fly, sled and put your best foot forward! LeapTV: Marvel’s Ultimate Spider-Man Educational, Active Video GameAges 4-7 yrs.Run, jump, wall crawl, sling webs and unleash reading skills to restore order to New York. Take on Doc Ock, Rhino, Electro and more in 6 exciting missions, each with 6 stages that blend classic Spidey action with active play. 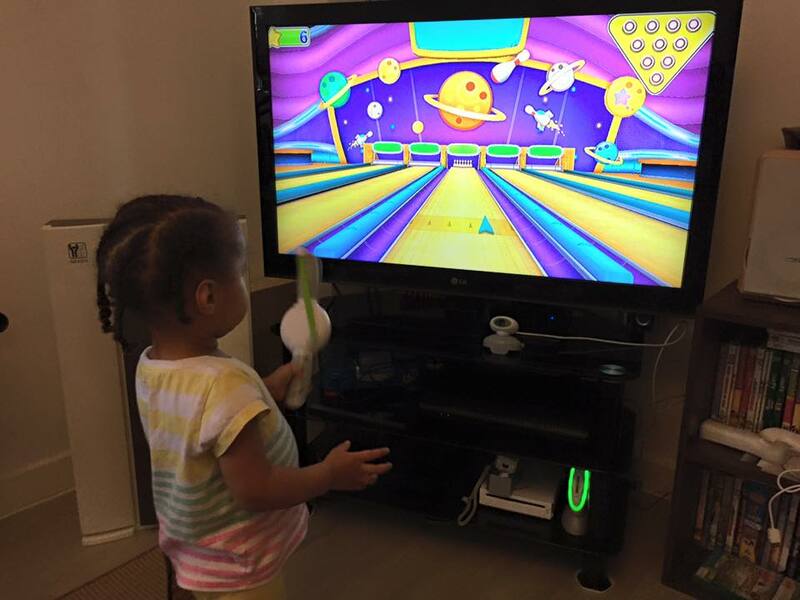 LeapTV™ Dance & Learn Educational, Active Video GameAges 4-7 yrs.Shake, spin, flap and hop to the tune of nine dance games. Play with family and friends or dance a solo jam. 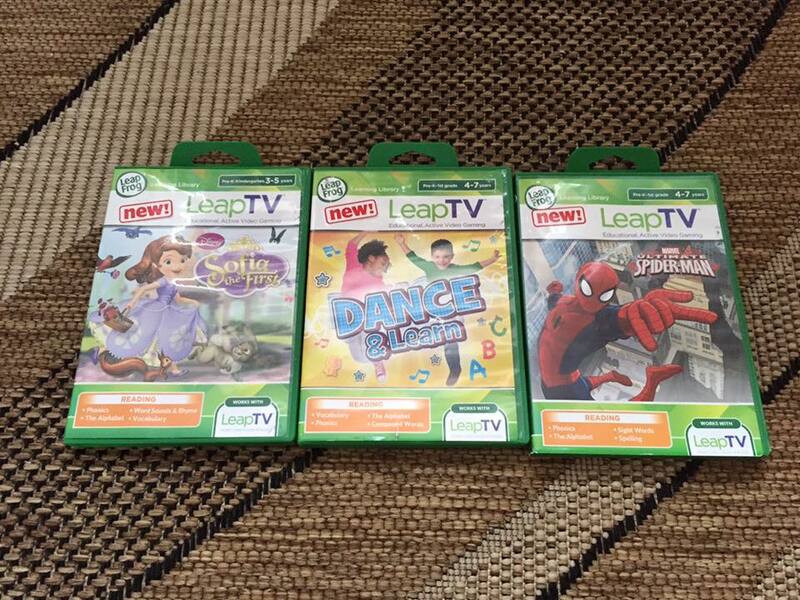 Build momentum and early reading skills: LeapTV brings the dance party to your house. 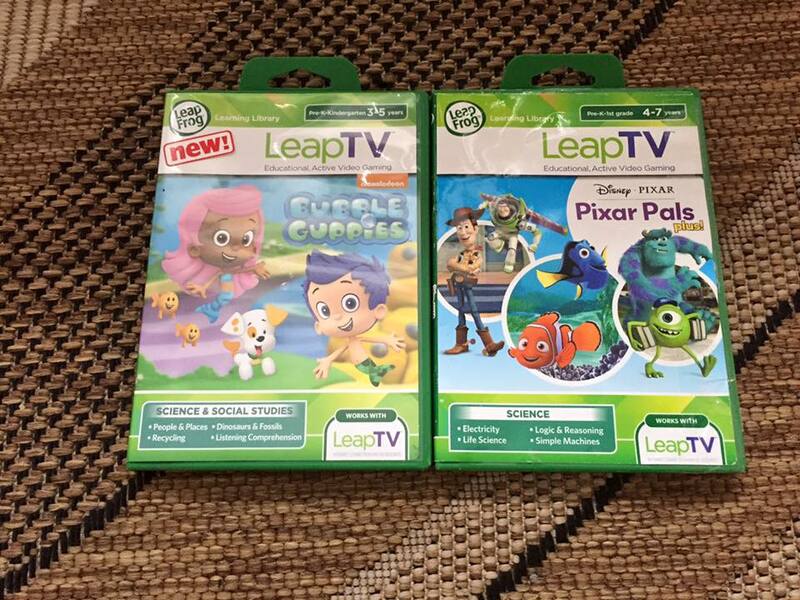 LeapTV: Disney∙Pixar Pixar Pals Educational, Active Video GameAges 4-7 yrs.Jump into action with Buzz, Woody, Nemo, Dory, Mike and Sulley in 6+ fun-filled mini-games. Propel aliens using levers and pulleys, dive into ocean science, fix circuits and have a roaring good time! LeapTV: Nickelodeon Bubble Guppies Educational, Active Video GameAges 3-5 yrs.Have a swimming time exploring people and places, recycling, dinosaur fossils and more on 3 fin-tastic field trips! Jump in, get active and learn along with the Bubble Guppies for hours of fun. The Human Body: Captain Plasma’s AdventureAges 4-7 yrsClimb aboard The Blood Vessel for “hearty” missions that explore our amazing anatomy. Splurgle!Ages 4-7 yrs.Help Splurgle the Raindrop navigate his way back to the lake. The transforming controller puts learning into motion in three ways: body capture motion, pointer play and classic controller action. The body motion camera captures kids’ movements—no controller is needed. Kids can run, hop and tip-toe to guide Disney’s Sofia the First along a woodland obstacle course using reading skills. In LeapFrog Sports, children power up math skills as they wave their arms to defend goals, karate-chop fast-moving shapes, scuba dive and more. Kids can also use their energy for creative movements like wiggling and spinning in LeapFrog Dance and Learn. 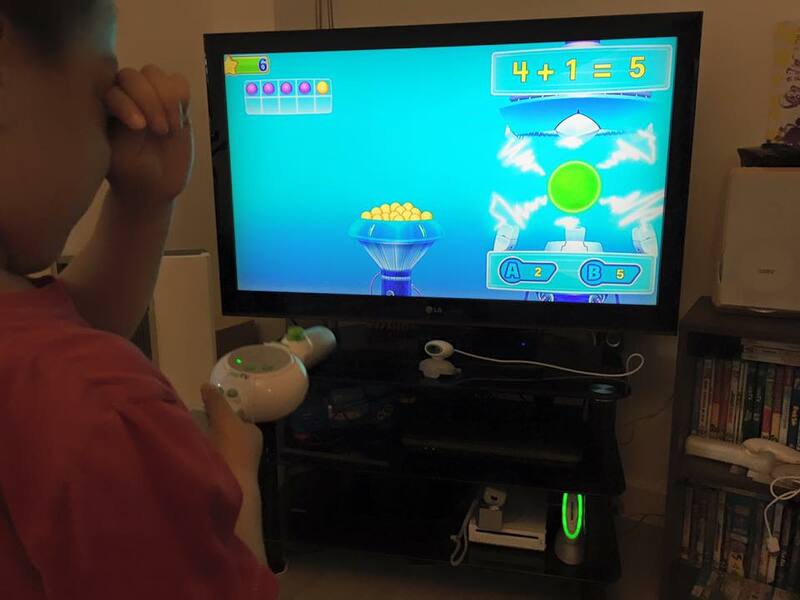 The kids love being able to see themselves on TV in some games. Pointer play takes pretend play to new levels of engagement. 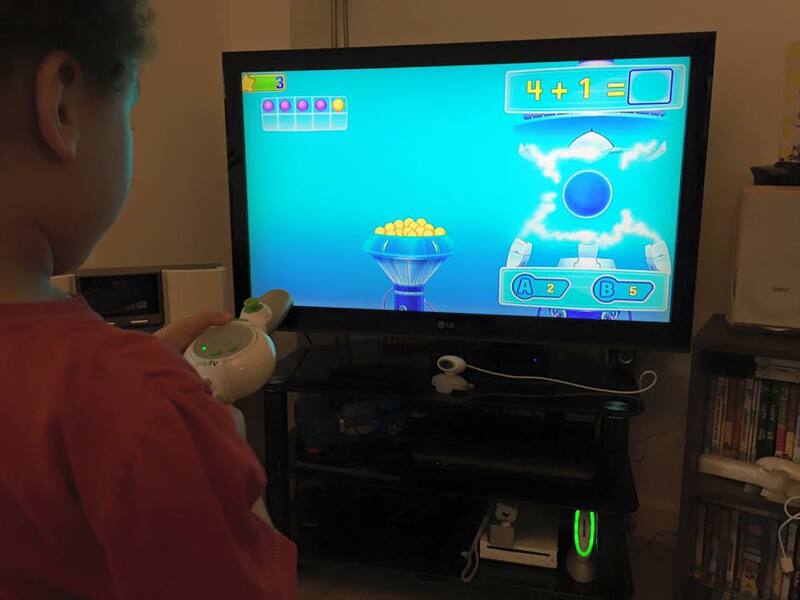 When kids swivel the controller with a simple click, they instantly have a pointer for snapping jungle vines and slicing through coconuts with Jake from Disney’s Jake and the Never Land Pirates. They can go from the island to the city, and even play as Marvel’s Spider-Man. Use the pointer to sling webs, swing across tall buildings and save New York! Classic control puts fun at their fingertips. Press the A and B buttons for fast-paced gaming, or tilt and shake the controller to race in LeapFrog Kart Racing. Solve puzzles with favourite Disney-Pixar characters like Nemo and Dory, Buzz and Woody, Mike and Sulley and more. The kids really enjoy learning while playing with their favourite characters. I highly recommend the LeapTV. I hope you enjoyed this post. Please feel free to leave any comments below.